Today is my first day back to work! You know what that means, right? Meetings, meetings, meetings. But, tomorrow, I'll have time to work in my room and one of the things on my "to-do" list is to work on my "Math Workshop" set-up for this year. One of my favorite pieces to use in Math Workshop are our Math Menus. 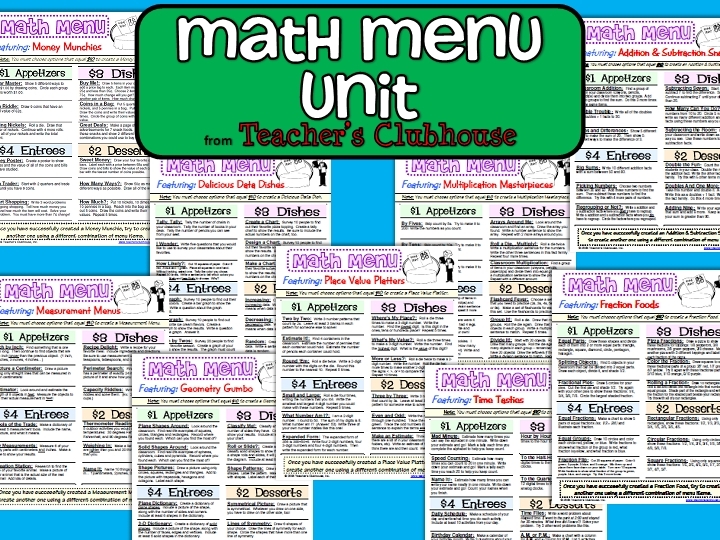 The menus are perfect for math workshop, early finishers, differentiation, or enrichment. The possibilities are really endless. 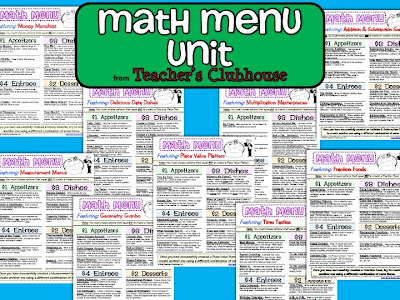 We have menus for each math topic we teach: Addition & Subtraction, Measurement, Place Value, Data & Graphing, Money, Geometry, Fractions, Multiplication & Division, and Time. Each menu is filled with activities that require few manipulatives and lots of hands-on interaction. Students select the activities that they want to complete, but they have to add up to $10! Would you like to try our Math Menus this year? If so, just leave a comment letting me know how you would use them in your classroom! The winner will be announced in my next blog post. I would love to use your math menus next year! I really like the idea of having something else to add to my math workshop. I am going to be trying to do small groups for Math this year. I think this would be a great and EASY addition to what the students will be doing at their seats, whether it be centers or after they finish their seatwork. The math menus look like an awesome idea!! I was thinking about doing small group math instruction with my fifth graders. Not sure how it would work, but I think these math menus would be an awesome help. These math menus are awesome!!! They would be great for my differentiated group work during math centers/stations; early finishers and so on. well, I'd enter, but I won them all!!! I love these math menus! My third graders will be at all levels and work at all speeds. I use Math Expressions but I need supplementary materials to further differentiate for my kiddos! It would be so wonderful to have something pre-made with minimal setup during my first year of teaching! And I loveeee that they need to add to $10! How cool! I absolutely love this idea! I would use them during my Math Workshop time, but I might also have them work on them at home for review later in the year!! I love this idea!! I would use this as a station for my kidlets who finish assignments first, or as a math station. I think they would LOVE it! I am hoping to incorporate more small group work during math workshop and your menu idea seems like it would be a great way to help give it more focus! What a great way to differentiate!! These seem AMAZING! I am teaching in a multi-age class this year with students who are K-3rd grade, I could find so many uses! Could use them for centers, in small groups, as extension work! I would love to use these during math workshop time. These can really help with differentiated instruction. These would be perfect to add to my math stations and also for my take home math bags! I think these would be perfect for "when I'm done" activities, or for review before assessments. My mentor teacher for student teaching uses small group math instruction in her third grade class like many. I think these would be a great resource for me integrate into her classroom as I take the reins. They’d also be super easy to use for early finishers, especially those first few weeks when I am sure I’ll be scrambling for quick and simple resources. Not to mention how fun they look! Hi! I work with special ed students, and they need lots of hands on activities--this looks perfect!! Thanks! I would love to use your math menus!! I have created something like this for reading, but now I need to revamp my math!! What a great tool!! Crossing my fingers! This would be swesome for independent work time while I work with other students! HI! Happy back to school! I hope you have a great year! Your Math Menus would be a great addition to my math tubs. I have tubs that have activities for students to do when they are done with their assigned work. Thanks for the opportunity! Dying to have your math menus! I teach two cluster grouped math groups and am going to implement a weekly math workshop. It will be perfect for one station! I teach all of my math in small groups and these menus would be a PERFECT addition for hands on learning activities while I"m working with a group! We just had a session with a Data Coach telling us our weak point is our boys! We talked about the need for giving them choices; looks like you menus could be a huge help. Your math menus have been on my wishlist for a while! Giving students choice is SO important and these look like they would be perfect for math stations. I am team teaching this year for the first time plus I am implementing math workshop for the first time! The math menus would be perfect! I'm planning on implementing math workshops for the first time this year and using the math menus would be a great asset for those students who finish early! Thanks for offering this giveaway! I would love to use these during my remediation/enrichment block. While I work with a small group, the other students could work on math menus. Oh my....I would love to win these menus and have the students work with them during independent working time and then be responsible for teaching their work to the rest of the class. It is so much fun to listen to the children be the teachers. They do such an awesome job! Thanks for the menu idea!!! I would love these! I taught with a teacher who used something similar that she got from a teacher friend. 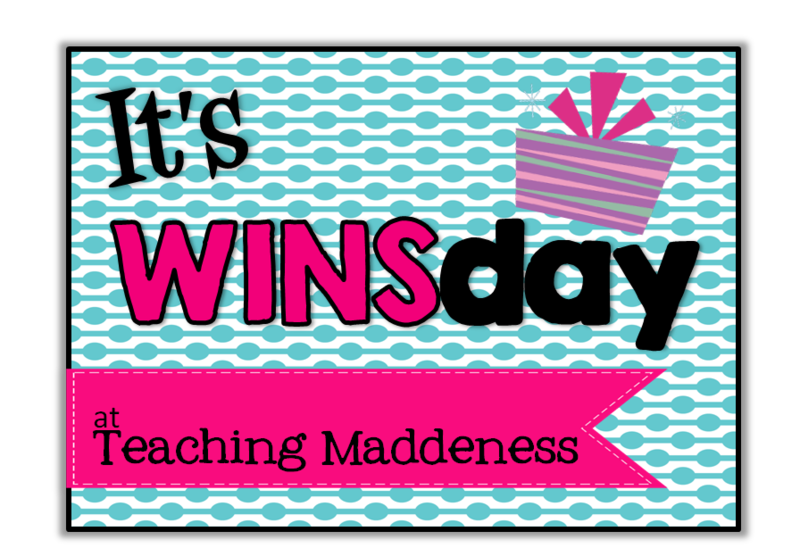 If I won these I would use them in centers, morning work and small group tutoring. Well now, how cool is that!! I love your menu idea. I would use the menu for my students that need more of a challenge. They love choice and this gives them more independence. I love these! I like the idea of the students having a choice in the activities they complete. This would work perfectly during my math workshop! I am new to the grade and would love to have centers in Math! I have such a wide array of abilities and learning styles in my classroom. I love Math Workshop and want to incorporate even more differentiated activities into it this year. These menus would be perfect for it. I love how they have choices and that will go along way with 4th graders "owning" their work!! Thanks for sharing! Having something for enrichment for faster workers is important. It is also important to have something that is learning based and fun for them to want to do. We don't want the kids to get board who finished first and the menus look like they would be challenging for all students even if they weren't for fast workers but all students. They all need practice with word problems with different concepts. You have done a great job! I would love to try your math menus. I am going to start math rotations this year and need as many resources as I can get to ensure I that I meet the needs of all my kids. The math menus sound perfect to use for differentiation during "Workboard". I think my second graders would be motivated by the presentation alone! Also, came across your blog after searching for monster themed classroom ideas. Great ideas! I have never seen anything like your Math Menus. They look awesome. 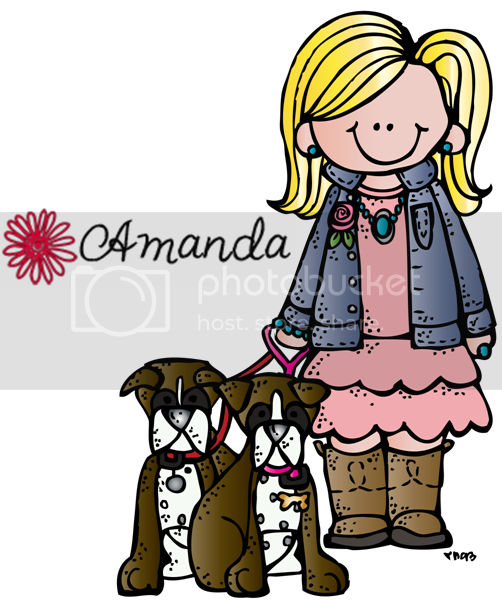 I am changing to 2nd grade this year after 10 years in 3-5. I would love to use these in my math workshop time for small groups, differentiation, and enrichment. They look awesome! Thanks for the opportunity to win them! Math Menus would be a great resource for my Math centers. I teach elementary special education and I'm always looking for a different way to present math to them. I find they are the most interested when math is turned into a game or when they can use manipulatives. A lot of times they just want to pull the manipulatives off the shelf and have me give them some sort of question to go with them. 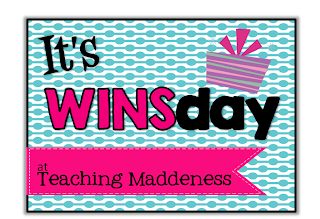 I would love to add the menu to my class giving my students a different fun way to learn. I love the math menu. It looks like a great way to give the students "options"
Math Menus will be great to use during our math team time! I would love to use math menus with my centers especially since moving to common core! It will be a great way to also show enrichment! Hi! The menu system lends itself to differentiation in the best sense of the word!! I am a Gifted and Talented 3rd grade teacher. I would love to enrich our fundamental (district approved) math program. We are so desperately in need of more real life connections! I would use them to add choice to the curriculum - and what a WISH CHOICE it will be! Thanks for setting this up! I am starting math workshop for the first time this year. I need all the help I can get!!! Thanks! This will be my second year using math workshop. I would love to use these menus to extend my lesson or unit for my higher students! Thanks! Wrapping Up Week One: Susannah Did It First! My FIRST Monday-Made-It of the Summer! A Little Teacher Love in the Mail Every Month!! My Classroom Is a ZOO!